My room had a fabulous, comfy large bed and the room was very clean. I was impressed by the usual toiletries provided with an additional sleep spray. The only let down was that the bath was a little tired and could do with updating. I stayed at St James Hotel for a one night visit for a stag do. 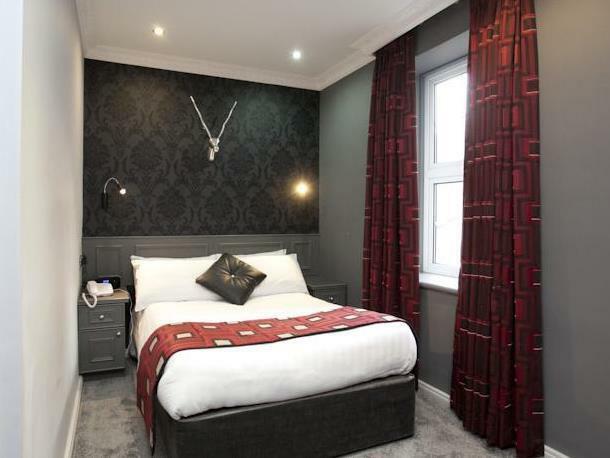 The hotel is a short walk to the main high street with bars and restaurants. The hotel has a smart lobby and the reception team were helpful with what i needed. My room was small but clean and had everything I needed for a comfortable stay. Lovely stay at St.James. Picked this as I was seeing a play for 2 nights and was close to Nottingham Playhouse. Very modern and also nice and quiet. Close to the city centre. When in Nottingham again would be a first choice! Very pleasant place to stay. Professional and polite staff. A very nice Hotel, my Wife even took photographs of the bedroom & sent them to our friends. One good thing the Parking is very close to the Hotel. 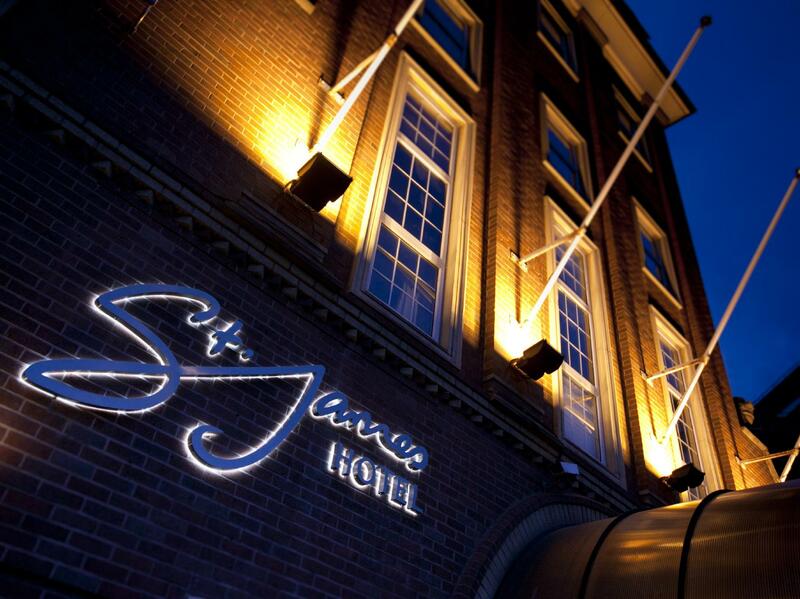 St James Hotel was a great place to stay overnight when we attended an event in the city. Close to the centre, but quiet too. The room was really comfortable and relaxing with nice touches, such as lavender pillow spray. It's a shame the member of staff we checkout with was so unengaged and disinterested, otherwise would have been all round excellent. I spent a very good two nights in this hotel. The room was clean, quiet and comfortable. The only thing that could be improved upon is the light/darkness situation. The room wasn't really dark due to the large amount of street lighting outside. A thicker curtain or extra blind would have been good. Apart from that, the bed and bathroom were very good. Staff were helpful. Food was delicious. Absolutely amazing modern hotel. The penthouse suite is beautiful. We ordered food from the restaurant and had it delivered to the room however, my boyfriend got food poisoning from the fish he had ordered. We did tell the manager who sat us both down and wrote down all the details but we are still awaiting a phone call from the manager inregards to his findings. Unusual Stylish decor. Excellent central location in a nice part of the City. Bars and restaurants only yards away. Good breakfast. Very convenient parking in NCP car park next door, reduced rate for 24 hours, but if go over 24 hours, charged for another 24 hours. The reception staff were very friendly. The check in was very quick. It's hidden off the main road and actually not noisy from road traffic unlike other centre hotels in Nottingham. The room I stayed in was very compact and classed as a single room but it had a double bed which was a surprise. It was clean and served its purpose. This is the first time I have used this hotel on my many visits to Nottingham but this won't be the last time I use it. This was our second stay here. We love the location and boutique décor. The restaurant staff are very welcoming and efficient and deserve a lot of credit for the most enjoyable breakfast experience. Based on experiences from both stays, we feel the hotel could improve room maintenance (e.g. taps and safe) and service on Reception, where we found if you notify them about something or request something, they seem to take note but then nothing happens. These issues did not detract from another very pleasant stay. We stayed in an executive room for our wedding anniversary. 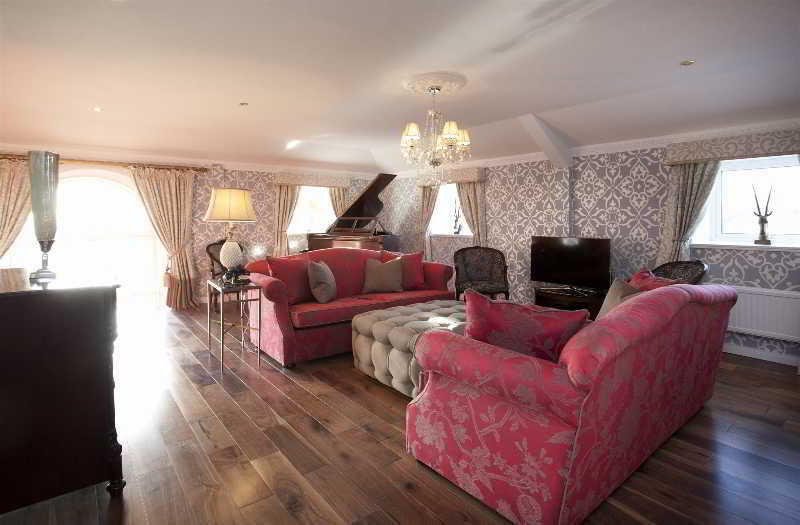 The location and room were lovely and from what little dealings we had with the staff they seemed polite and pleasant. The only downside was being put in a room next to a hen party and it would have been nice if the hotel had made our stay a bit special seeing as it was a special occasion. Would definitely use it again though. Really enjoyed my experience at St. James Hotel. Could easily call themselves a 4 star hotel if rooms had mini bar and fridge and free parking. Staff were extremely helpful and accommodating, acquiring skimmed milk for me for my morning tea. 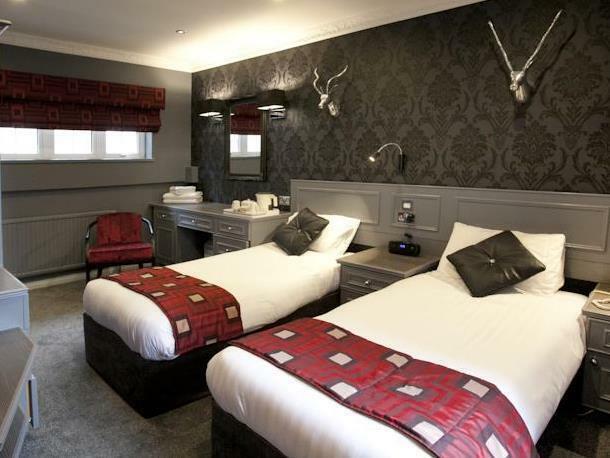 The St James Hotel is in a perfect location for both sightseeing and shopping. All of the staff are friendly, helpful and efficient. 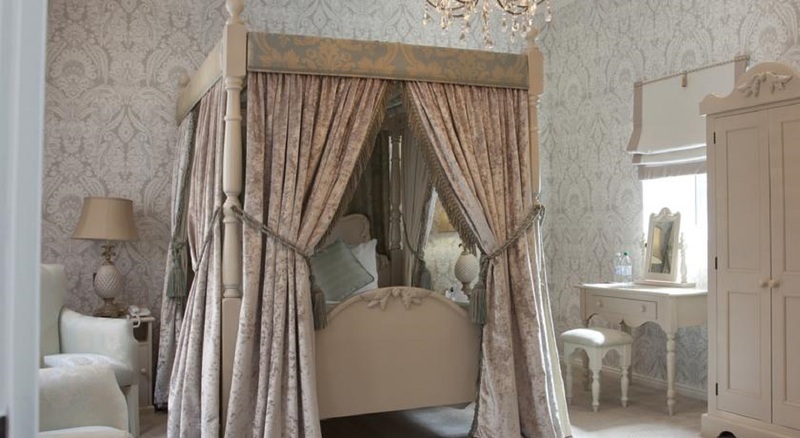 The décor is contemporary and the bedroom well appointed and comfortable. Breakfast was enjoyable with a good selection of cooked or continental food. I was staying at the St. James Hotel as a solo traveller due to a course I was attending in Nottingham. When I arrived I was really impressed on the decor of the hotel and the staff were very welcoming. I was in an executive suite and it was spotless and very comfortable. 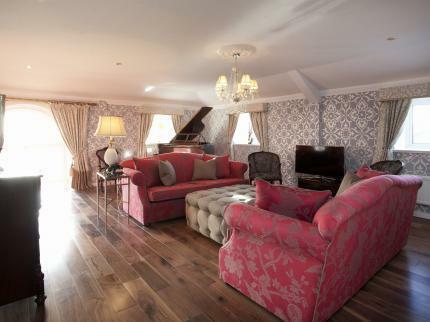 This suite could definitely accomodate 2 people comfortably. On-suite with a shower but no bath, which didn't bother me, as the room had other amenties such as kettle, coffee maker and daily supply of biscuits (which I appreciated). Only downfall, no fridge to keep drinks cool but I could cope with that. Breakfast was good when served buffet style, a bit slower when staff are serving each table, however I didn't mind the wait. The only downside was menu, the food wasn't that varied so I rarely ate in the evenings in the hotel. However, the location of the hotel was fanstastic- next door to the castle and only 10 minutes walk to the city centre - so finding food wasn't a problem. My wi-fi worked a treat (despite negative reviews regarding no wi-fi) and so I was able to work in the evenings when needed. Check-in and check out was smooth, no problems. I couldn't fault this hotel - I'm suprised it is a 3 star - and I plan to visit again for leisure as the style and location of the hotel is ideal. I would advise anyone to book here if you want a clean, nicely decorated and comfortable hotel with friendly and accomodating staff. Thank you St. James Hotel, I'll be back very soon! 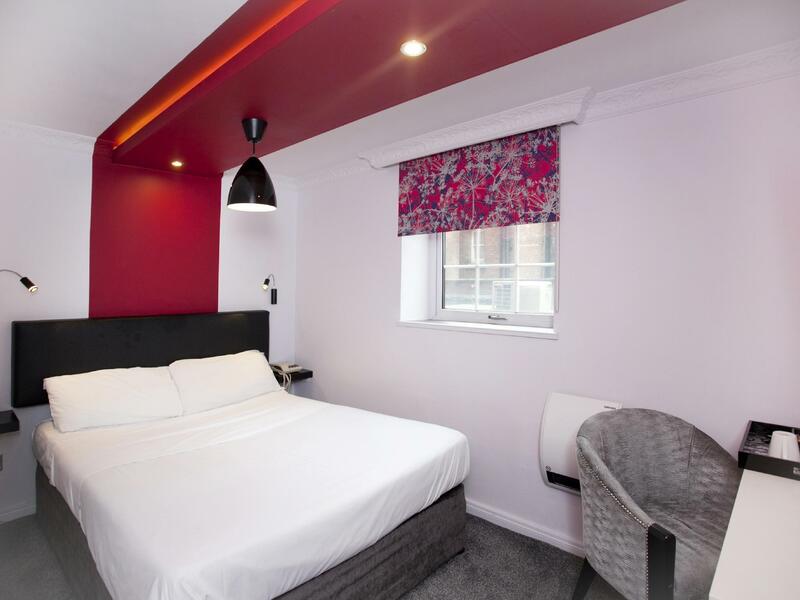 This hotel has been refurbished in a very trendy and stylish way - we loved it! 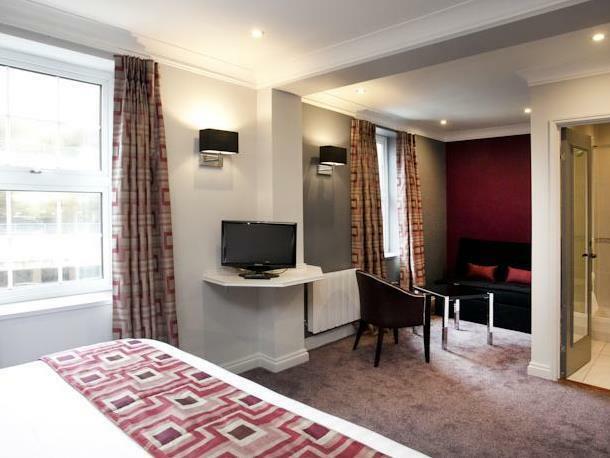 We booked an Executive Double and were very pleased with the size, décor and nice bathroom. Communal areas such as lounge and breakfast area were very cosy and beautifully styled. We did have a few minor room cleanliness and maintenance issues but these were easily outweighed by the décor and the very welcoming staff (both in Reception and Dining). The location was ideal for us, in a quiet, attractive area next to the Castle, but just 5 minutes walk from Old Market Square and shops. There were plenty of restaurants within 2-5 minutes walk. We parked in the hotel car park for £16 for 48 hours. This is the third time I have stayed at this hotel, the location is superb and very quite considering it is in the city center, however I do feel the minimalistic wardrobe space on this occasion was not good, the staff are very good and seem to compensate! สถานีรถไฟ Nottingham - ระยะ 0.73 กม.